Corn, called maiz in Spanish, is one of the main ingredients used in local Peruvian cuisine. 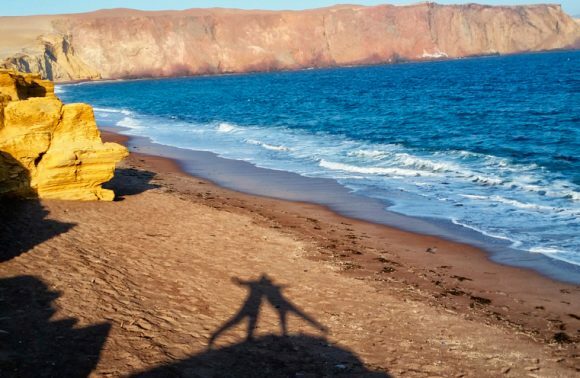 It is added to soups, various salads, main courses, and also comes along with famous dishes such as pachamama and ceviche. If someone is looking for simple but tasty dishes prepared with corn, there are plenty of delicious options. 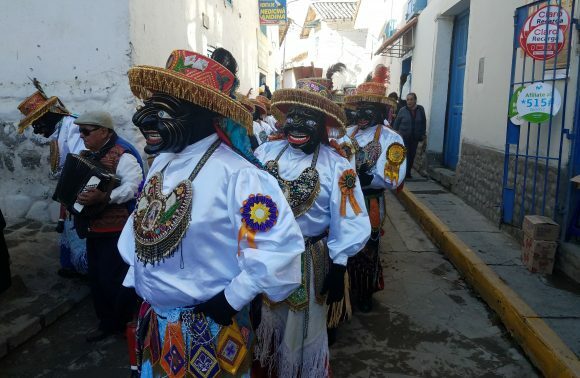 At places where the Inca Empire was formerly located as well as communities in the Andes, one of the most popular delicacies involving corn is called choclo con queso, corn with cheese. Such a sweet-salty combination may seem too uncomplicated to be great, but your taste buds will think otherwise. It turns out that salty cheese with sweet corn pair like great friends that bring out the best in each other. For me, this Andean delicacy is my number snack. Sweet, simple and absolutely delicious! One thing to be made aware of is that only specific types of corn can be used for this dish. In my humble opinion, the best version of choclo con queso is served in the Cusco region. 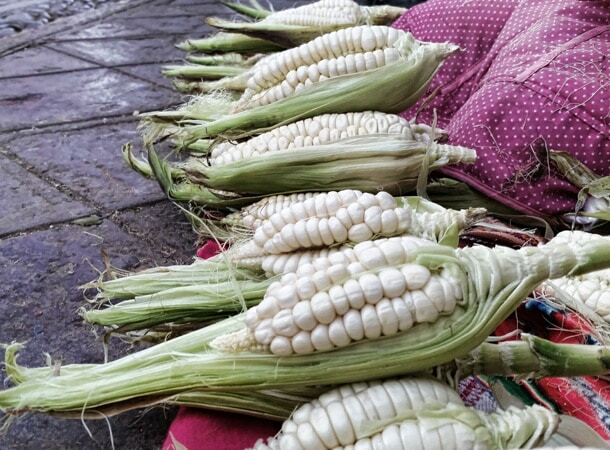 Here, specifically in the beautiful valley of Urubamba, local people cultivate this special type of white corn, choclo, which makes an incredible companion to cheese. 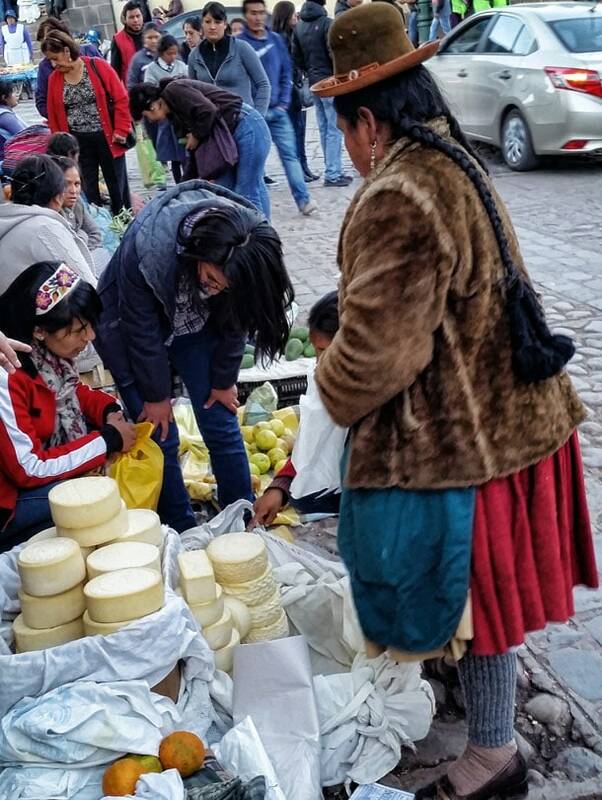 There one drawback regarding cheese from the Andes is that it is not recommendable to buy it from local markets. 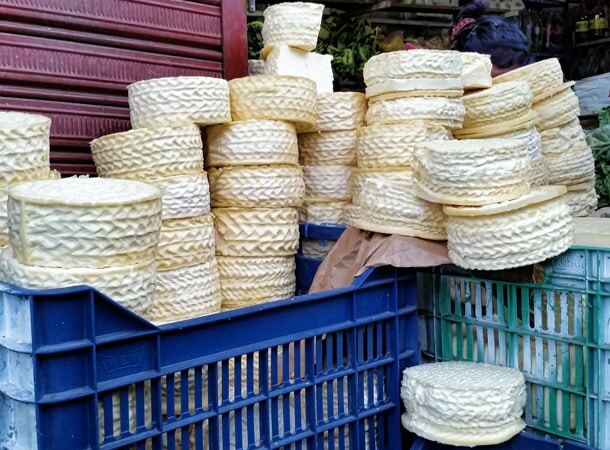 Unfortunately, before this cheese gets into the hands of its final owner, it is often touched by many other hands and insects who like to make cheese their home. This makes it plausible to catch some unwanted germs. If you want to avoid such surprises, get your cheese from any supermarket where it is nicely packaged. In the former Inca Empire corn was used not only to prepare delicious food but also to prepare drinks. 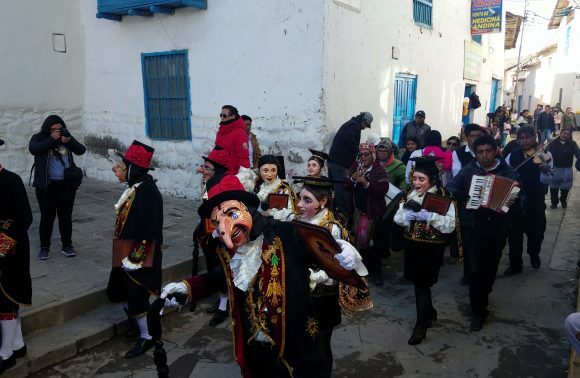 The most famous non-alcoholic one is called chicha morada and the other alcoholic one is called chicha de jora. The first is made from purple corn, while the second is made from corn called jora, which has a bright, yellowish color. Purple corn is more unique. 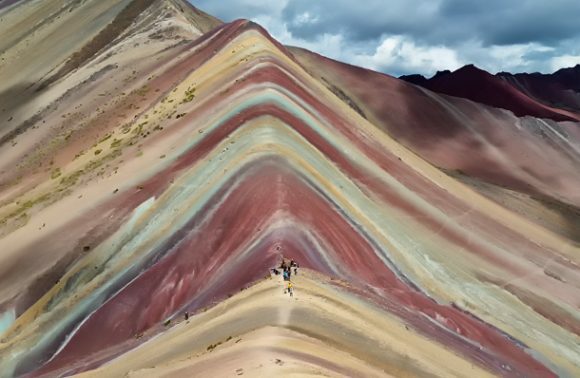 Besides the fact that it is the main component of the most popular Peruvian drink, it is also is largely used in the textiles industry – as a natural dye. 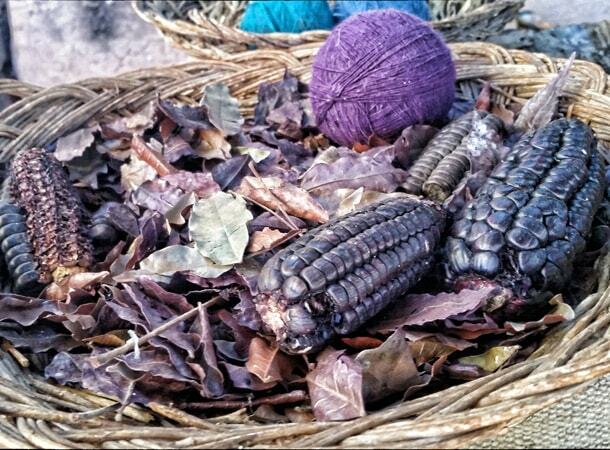 Purple corn gives unique colors to fabrics made by the Andean women in a traditional manner. 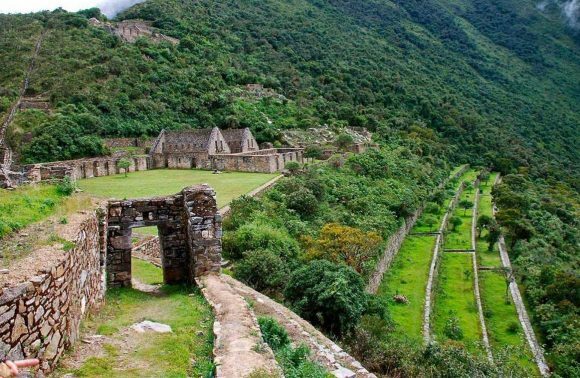 In the period of the Inca Empire, corn was used in religious ceremonies and was placed beside at the side of the dead, along with other valuable things. 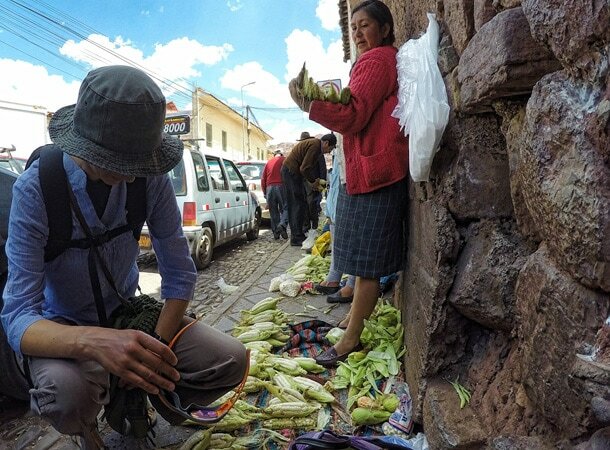 Nowadays, Andean people still use corn to make religious offerings. 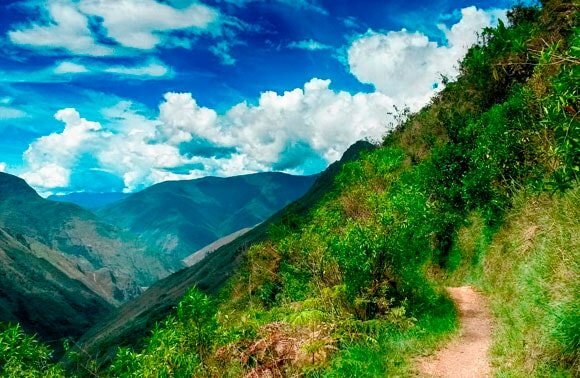 Centuries have passed, yet the fame of corn in Peru is still present. And nothing indicates that in the coming years, this trend will change. Thus, during a trip to Peru, I highly recommend you to try at least one corn product.